A part of growing up in India is getting your slippers stolen from outside a temple. Well, I was lucky in that department that I never faced such a situation. 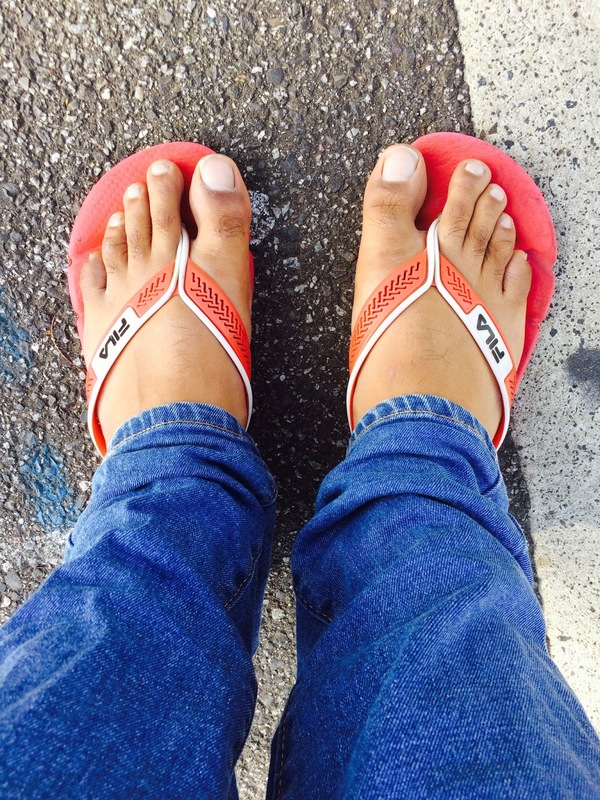 I was very careful and used to wear the ugliest slippers while going to the temple. People leave their footwear outside while entering a temple or a Gurudwara,it is a sign of respect. I remember eating a "Langar", with my shoes tucked inside my shirt. It was free food so I had to eat and I was wearing my favorite shoes at that time. So I was in a dilemma to leave the shoes outside or skip the free food. Leaving an opportunity to eat free food is the biggest sin ever. So I improvised and tucked my shoes under my T-Shirt, I was already very fat,So my belly coming out unusually because of the shoes did not make much of a difference. Sorry getting back to the point. I have shifted base to Melbourne now and occasionally on a Sunday me and my friend visit a Gurudwara. So one fine Sunday evening I and my friend went to the Gurudwara and after worshiping and eating Langar I returned to see my slippers missing from the footwear rack outside. I was amused and my friend too. It was nostalgic, I mean as if we were back in India for a moment. We looked around to see if someone might have kept it somewhere else, but they were nowhere to be found. It is a rule that If someone steals your footwear, you steal someone else footwear. But I preferred walking barefoot to the car rather than getting abused by the supposed person's slippers I would have been wearing. I was feeling amused than angry as I traveled 10,000 KMS for getting my slippers stolen from outside a place of worship. My mom pacified me saying it is lucky to have your footwear stolen, my sister told me to follow what Amir Khan used to do in PK( tie your footwear with a lock to a pole). People on social media found it amusing too. Anyways a week later, I went to the same Gurudwara and they were lying just where I left them on the shoe rack. Someone must have worn it by mistake and on realizing would have come back to return it. My friend quoted "God must be on social media as well, he saw my update and got the problem rectified. Well thankfully my favorite slippers got lost and came back to me.